Learning styles influence the way you understand and remember information. No two individuals process information the same way. Is there something you’d like to learn that will lead you to fulfill your purpose? Read my post about how to find your purpose here. 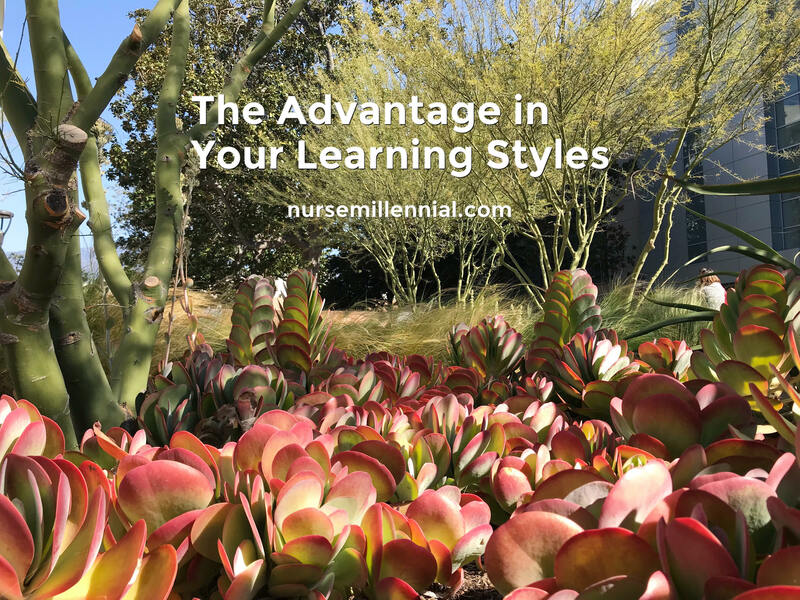 It took me years to figure out what my learning style was, I barely figured that out during college! What a struggle! If you search the internet there can be up to 8 different learning styles, but we’ll talk about 4 that are most general. You can read a more detailed article about them with more examples by Rasmussen College here. Visual – you prefer graphs, charts, and diagrams. My styles are visual, kinesthetic, and reading/writing combined. During college I didn’t have the attention span and patience to sit during a lecture. I would listen, agree, nod, shift in my seat, take notes, and seem to understand at the moment. I even sat in front of the class thinking it would help me learn better. When I sat down later that day to study I’d have forgotten what we learned and would still have to rearrange my notes into diagrams and bullet points in order to grasp the information. I proved that I’m not an auditory learner. The same thing happens at work. If a doctor verbalizes an order to me I have stop them, grab my notes and pen, and have them say it again so I can write it down. It’s a nuisance to them at the time since they have to stop and repeat themselves, but it’d be even more of a nuisance when I have to page them later to say the order again because I forgot! I absolutely have to write things down and visualize it. During nursing school there was usually a lecture and clinical portion of a class. It took me a long time to learn the information. I thought, wow, what kind of nurse am I going to be?! However, when we were at the hospital I then learned that I felt most comfortable at the bedside, performing nursing tasks. I learned best by acting on the information, which led me to understand it. I used to compare myself to classmates who get straight As and maintain high GPAs. I thought, why is it hard for me to learn the way they do? Am I an idiot?! I mean, maybe sometimes?… I thought of myself as slow and it affected my confidence level until I accepted I learn differently. For goodness sake I took the board exam twice! I may not be a good test taker, but I know that if I’m in the clinic or at the bedside, my patients and I will be fine! My advice is to keep your learning style in mind and put yourself in situations that you know you’ll learn best. Don’t waste time highlighting through a book when you know it’s not going to work for you. Whether it’s writing down the information, having a group discussion, or setting up learning activities, what matters most is that you have the drive to learn and embrace the process of learning something new in the most efficient way. And use your learning style to help others learn as well! How do they influence the way you work or how you study? How can you use your learning strengths to teach others?